Welcome to the home of 'Tissue sampling'. These pages have been redesigned to include histology topics such as tissue sampling methods, formalin fixation, decalcification, tissue processing, embedding, section cutting and staining. Also, why not test your knowledge of histology and take a look at some Institute of Biomedical Science examination papers from years gone by. I do hope you enjoy your visit and please feel free to post a comment. 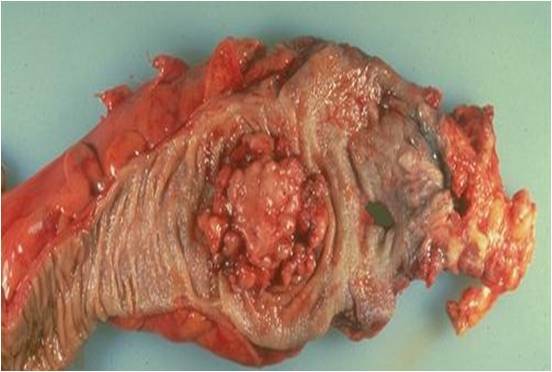 Biopsies are invasive procedures and should be performed as a result of clinical indications and with a genuine possibility of therapeutic benefit. For the patient, tissue sampling is not without risk and the most important of them are described at the end of this chapter. 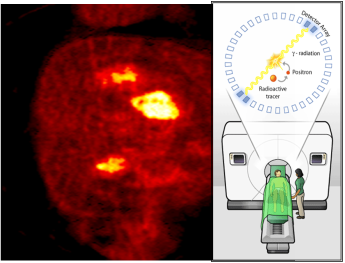 Imaging methods are routinely used for obtaining certain tissue samples although most radiographic evaluations are confined to breast disease. 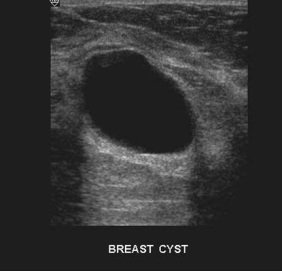 Microcalcification can sometime mark the site of a neoplastic lesion in the breast where radiology can be used to locate tiny lesions that may not be obvious on palpation or laboratory examination. Routine breast radiography should certainly be done when initial sampling fails to reveal a lesion that has been picked up on mammography. 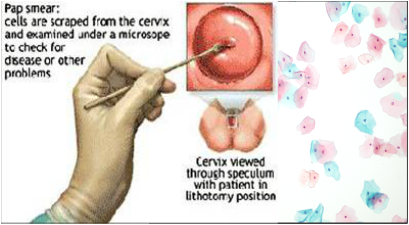 There are several imaging methods that can be employed in the sampling of breast and other tissues and these are included in the alphabetic list of sampling methods below. 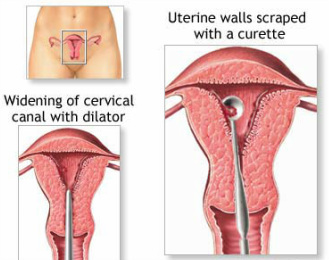 Specific risks of biopsy procedures include infection from a contaminated biopsy instrument or site, perforation of a tissue or organ, vascular problems such as bleeding from the biopsy site, dissemination of the tumour and induction of reactive changes which on subsequent biopsy may be misinterpreted. However, depending on the localization, other potential complications such as local paralysis, pneumothorax and sepsis may occur. With the stereotactic brain biopsy for example, the risks include stroke, seizure and even death. 1. Seeding of biopsy tract. 3. 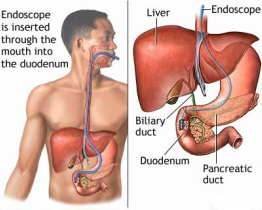 Contamination from cut blood or lymph vessels. The ability to accurately examine, describe and process gross specimens is one of the most important skills of the pathologist. Although this is rather obvious for the processing of entire biopsy specimens, the description of large surgical specimens provides a permanent record of all relevant information. This should include all the demographic and clinical information provided by the submitting physician, the observations made at the time of dissection and a description of samples taken. 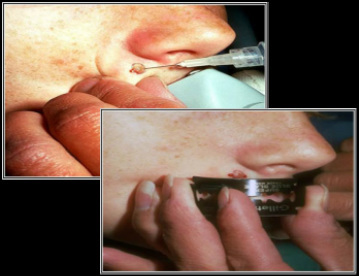 At the time of gross examination, resection margins of small biopsies are not generally marked with ink since delineation of surgical margins is not necessary. Simple specimens such as polyps with clear anatomic landmarks can be marked with ink at their surgical margins if required. With few exceptions, tissue samples arrive in the laboratory immersed in the fixative formalin (see the chapter on 'Formalin and tissue fixation'). All specimens obtained from surgery with intent to cure should be inked at their surgical margins. In the laboratory, methods for assessing the specimen margins may either be parallel to the plane of resection (en face) or perpendicular to the plane of resection. 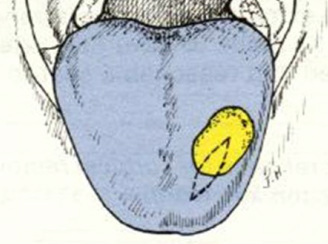 The advantage of sampling a margin en face is that a large surface area can be examined as seen with the entire circumference of bowel resection margins. 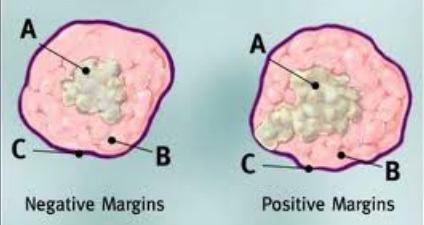 Although the margin can be called completely negative if no tumour is seen, the disadvantage is that the exact distance of the tumour to the margin cannot be determined. If the tissue is received unfixed, frozen sections, imprint smears or samples for microbiological investigations may also be taken before the tissue is fixed in 10% formalin or other preferred fixative. 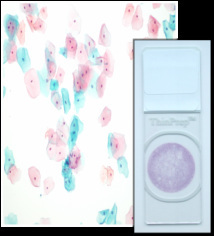 At cut up, the pathologist can integrate the gross and microscopic appearances to arrive at a diagnosis. 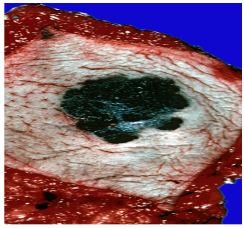 Surgical resections for tumour must be accurately described and measured with photographs and diagrams showing the sites of the selected tissue blocks. From these samples, the histopathologist will not only be able to diagnose the tumour type but will also be able to report on the extent of spread, the adequacy of resection and the presence of local precancerous lesions. Samples that include the edge of a tumour are usually more informative and although a single block is invariably sufficient, several blocks are usually taken. 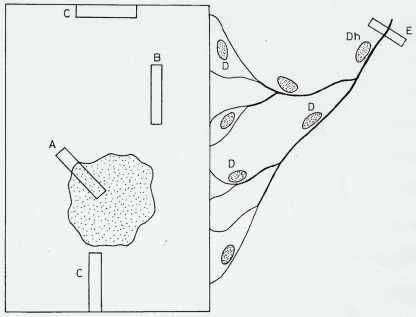 Sampling of blood vessels should also be performed to show the presence of vascular permeation. 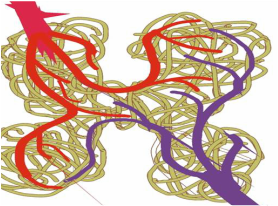 This should be performed in conjunction with the thorough sampling of nodes to show the extent of lymph node involvement and it is important that a standard sampling method is followed. Palpation of nodes is best avoided since it biases the sampling in favour of involved nodes. An alternative and better method is to slice the fat at regular intervals and process all nodes presenting at the cut surfaces. Because antibiotic therapy is generally the first treatment of choice for specific infective processes, surgical resections are rarely performed unless they are found unexpectedly during surgery. Fresh samples of these tissues must be taken for microbiological studies before tissues are fixed. 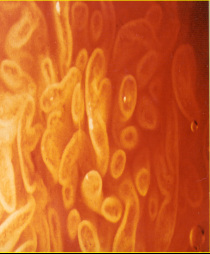 Culture is essential since some infections may only show sparse organisms that may not be detected by Gram stain or Ziehl Neelsen in paraffin sections. Resections and resection margins for chronic inflammatory bowel disease need to be sampled carefully because the lesions and granulomas may be sparse and patchy and precise location will therefore be required. The difference between the amount of tissue sample taken and the object as a whole is known as sampling error and it may or may not be representative. The fact that changes in some diseases are localised rather than diffuse can cause diagnostic problems if sufficient slicing of the tissue is not performed. By maintaining consistency, this can be overcome by taking what is regarded as an adequate number of blocks of larger pieces of tissue or resections. However, in small samples where only a single block is available, then it is equally important to examine deeper sections throughout the block to ensure that sampling errors are minimised. For most diagnostic purposes, paraffin sections are cut at about 5 μm, although there are some uses for sections to be cut thicker or thinner. Thick sections will reduce sampling error but are virtually useless for diagnosis of most lesions because of superimposition. 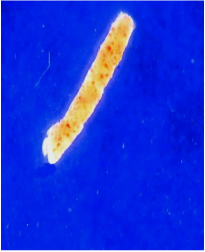 However, a 20 μm section can be a useful way to find pathogens such as bacteria or asbestos fibres provided the microscope is focused through all planes of the section during the examination. 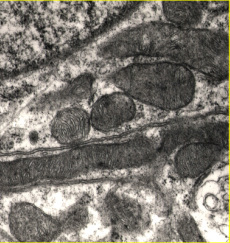 Frozen sections too, can be cut at 10 μm or greater and still provide a diagnosis particularly with staining methods associated with the nervous system. 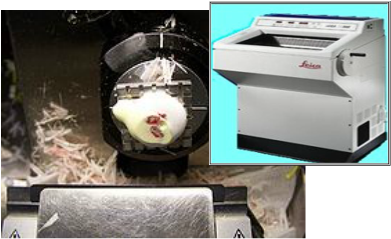 Although paraffin wax sections can be cut thinner than 5 μm, it is easier to use tissues that have been embedded in acrylic or epoxy resins since it provides greater support. Current applications include renal biopsies, lymph node biopsies and bone marrow trephines. The clarity provided by 1 μm plastic sections is due to the virtual elimination of superimposition of cells and to the considerable reduction in tissue shrinkage when com­pared with paraffin wax sections. Although microscopic examination of tissues is the main histopathological method of diagnosis, interpretation does not necessarily become easier or more accurate as the magnification increases. Even at the microscope, examination of biopsies, tissue samples and resections at different magnifications can give varying types of information. Diagnostic histopathology is an important requirement for both clinical practice and the management of patient care. The evidence provided of the many processes involved has shown that the interaction between the clinician and the laboratory is as vital as the ability of the histopathologist to correctly interpret different abnormal states.